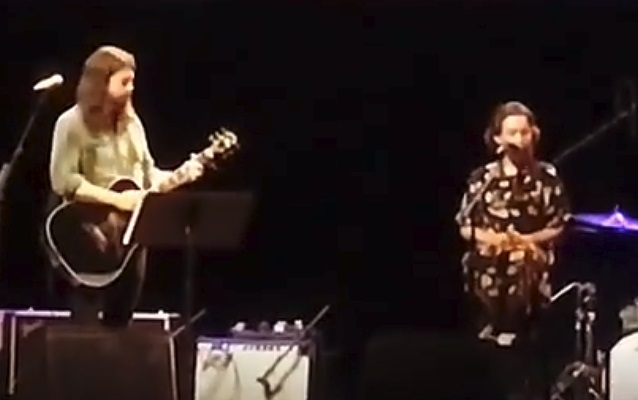 FOO FIGHTERS frontman Dave Grohl was joined by his 12-year-old daughter Violet for a performance of Adele's song "When We Were Young" at last night's "Notes + Words" event. 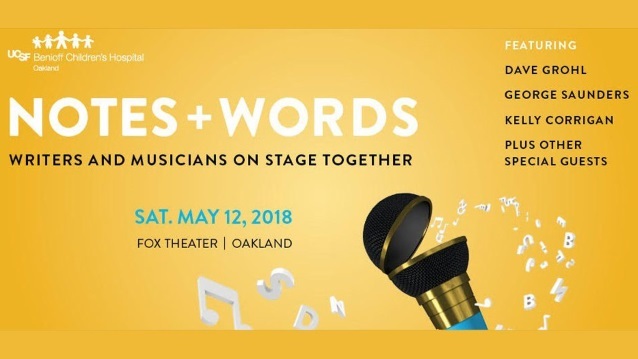 The concert benefiting UCSF Benioff Children's Hospital in Oakland was held at the Fox Theater in Oakland and featured additional appearances by George Saunders, Kelly Corrigan and other guests. Violet is the eldest of Grohl's three daughters, three years older than 9-year-old Harper and eight years older than 4-year Ophelia. Last June, Harper came up on stage during a FOO FIGHTERS show in Iceland to play drums on a cover of QUEEN's "We Will Rock You" in front of 20,000 Icelanders. The first leg of the FOO FIGHTERS' North American tour wrapped up at the Welcome To Rockville festival in Jacksonville, Florida. The trek resumes again on July 6 in Columbia, Maryland. FOO FIGHTERS are continuing to tour in support of their ninth album, "Concrete And Gold", which was released last September worldwide on Roswell/RCA.